Expenditures on goods and services by border, seasonal, and other short-term workers, which were also previously included in other private services, are reclassified to travel as well. While this change alone will not affect the overall trade balance, the category measuring travel services – both imports and exports – will be larger. However, BEA will also report quarterly on health- and education-related travel separately from other more traditional business and personal travel so that users can track travel spending in several ways. You can see the new travel services category as well as the subcategories in a new table that will be available on June 18. A template is available now. This change is part of the Comprehensive Restructuring of BEA’s International Economic Accounts, which we discussed in a recent blog post. An example of health-related travel is when a foreign person travels to the United States for surgery. In this case, health-related travel exports would include the cost of medical procedures the person receives, in addition to any accommodations and other expenses he or she incurs in the United States. An example of education-related travel is when a foreign person travels to the U.S. to attend school here. In this case, education-related travel exports would include all costs the foreign student incurs in the United States, including tuition at a U.S. institution. Like other changes to BEA’s international accounts, moving health- and education-related travel to the travel services category brings the U.S. international accounts into closer harmony with data produced by our trading partners and was a recommendation of the International Monetary Fund’s Balance of Payments and International Investment Position Manual, 6th edition. Scientists from Commerce's National Institute of Standards and Technology (NIST) have moved a step closer to developing the means for a rapid diagnostic blood test that can scan for thousands of disease markers and other chemical indicators of health. 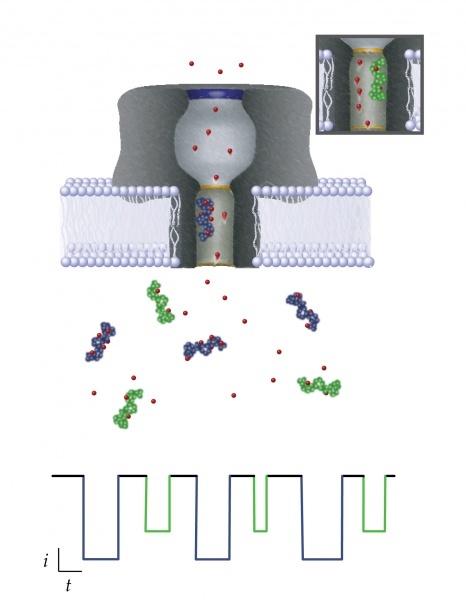 The team reports it has learned how to decode the electrical signals generated by a nanopore—a "gate" less than two nanometers wide in an artificial cell membrane.